Right after opening, this wine exhibited some floral notes on the nose. Along with some oak and earthiness, there was good acidity up front. It was a little light on the finish though. After one hour, the wine opened up more and was much brighter. Hints of cherry, vanilla, and spice came through with some smokey character. There was a good medium body with just enough tannins in this wine. 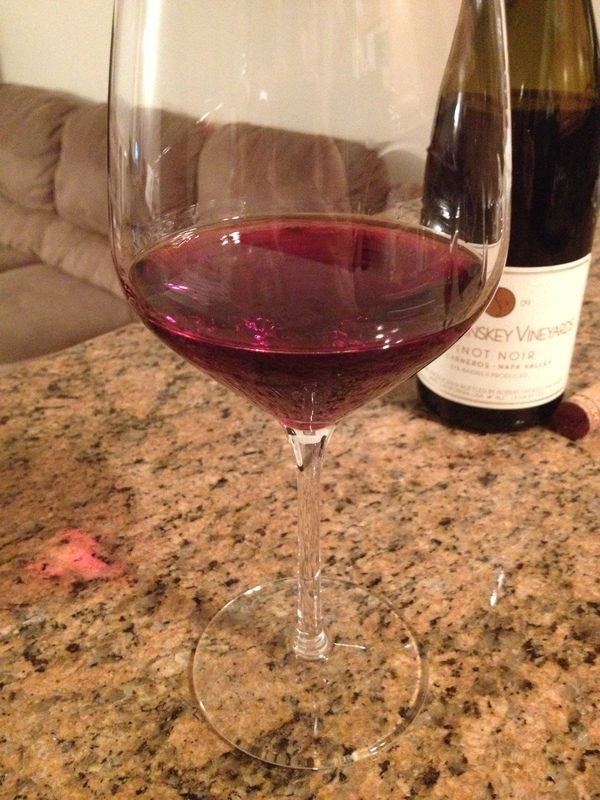 This pinot noir was a crystal ruby color. As cliche as it sounds, pairing it with juicy meat like crispy duck breast would be delicious. 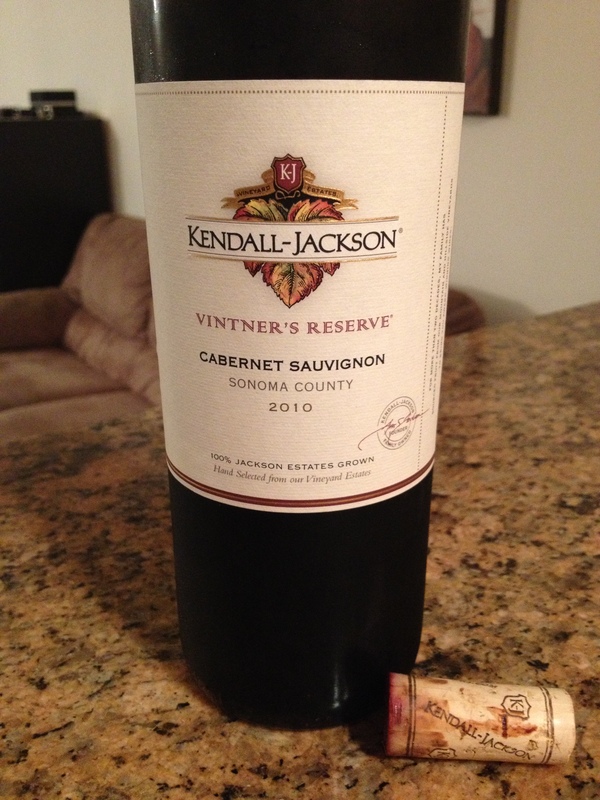 The full-bodied 2010 Kendall-Jackson cabernet sauvignon tastes of black cherry, blackberry, and currant. Grippy tannins and a little acid give this wine a nice and lingering finish. 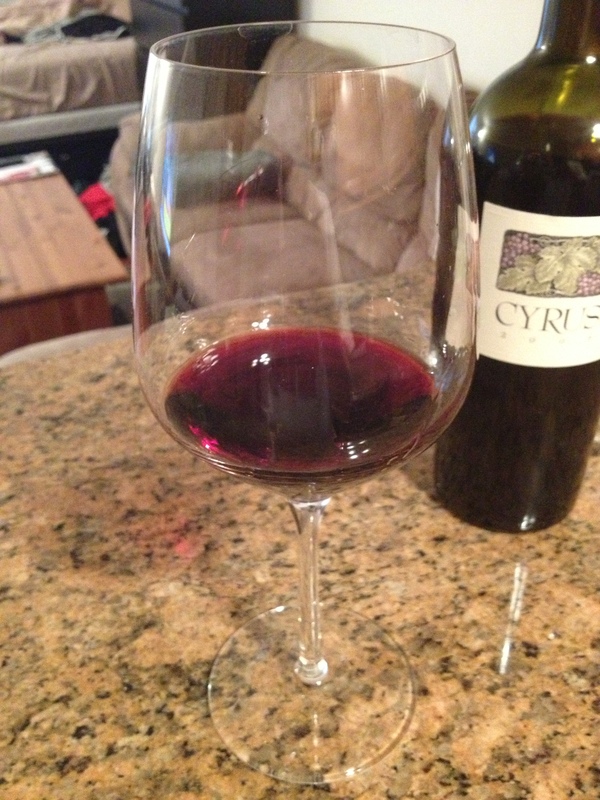 This wine pours out a dark inky color, exactly what you’d expect from a cabernet sauvignon. I didn’t think that this needed to decant for very long, but if you have the time, allowing it to breath for some time can open it up a little. Being an affordable but solid wine, I would drink this on a regular basis as well as pair it with all types of meat. It has the body to stand up to a heavy steak as well as the versatility to even complement juicy chicken. After popping and pouring, I tasted exactly what it meant to be aged 15 years. 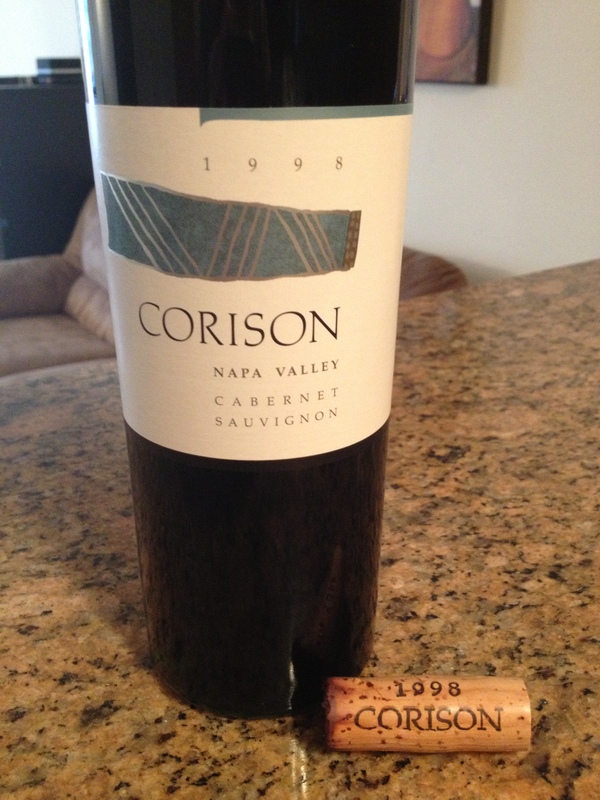 This wine had aged and matured nicely; it was still well balanced after so many years. The tannins had diminished along with some of that big fruit taste that California cabs are known for, but overall, it still kept it structure as a nice and hearty Cabernet Sauvignon. After about 30 minutes on a warm summer day, the wine started opening up. 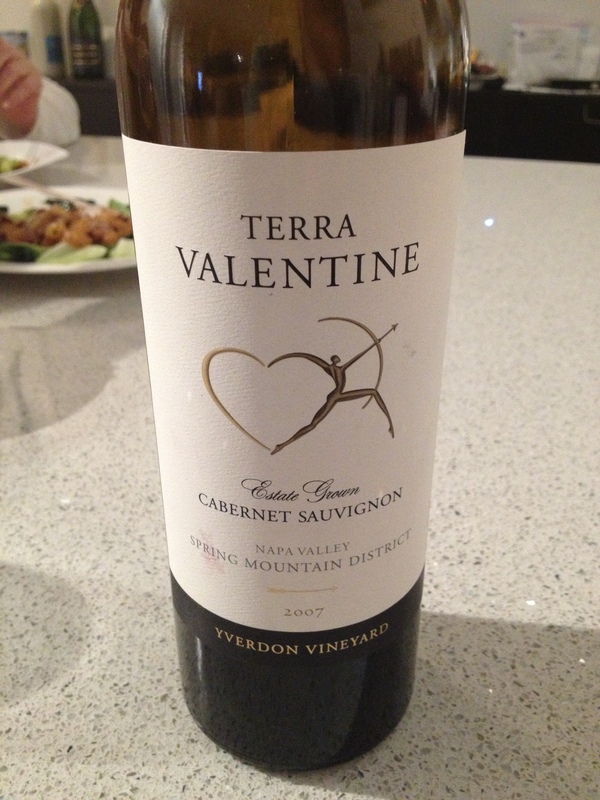 It was still smooth going down and more medium-to-full bodied compared to other Cabernet Sauvignons. The color was an intermediate purple hue, not as dark as other cabs but definitely not light. This particular wine might be just past its peak by a couple years, but it was delicious nonetheless. Immediately after opening, this red wine felt very tight and enclosed. 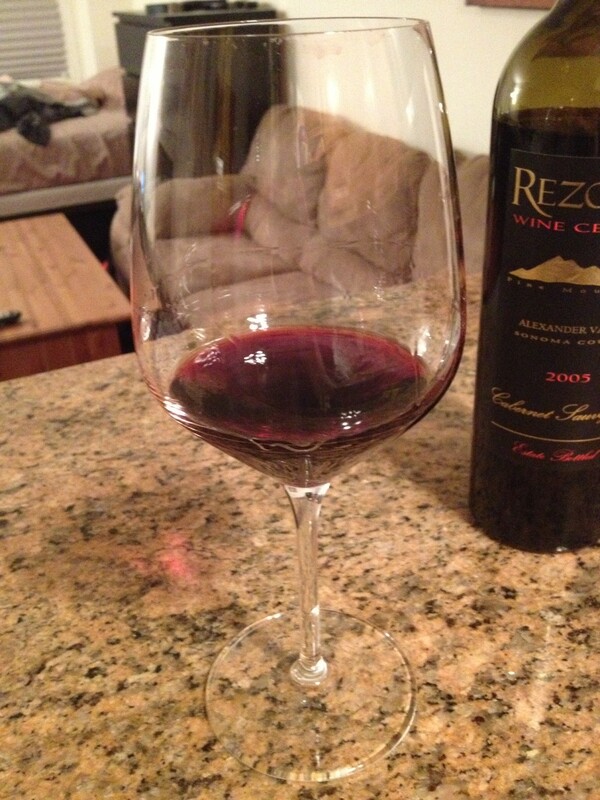 It is a dry and full-bodied red wine with solid tannins and nice long finish. After letting it breath for a while, it drank well with flavors of dark cherry, plum, and blackberry coming through the most. Rich and darker ruby color. I would highly recommend decanting for more than one hour and pairing this with red meats and others that can hold up to the intensity of the wine. Medium to full bodied cabernet sauvignon from the Spring Mountain district of Napa Valley. Tastes of dark berries with medium acidity. Smooth throughout and somewhat fruity. I expect more fruit to develop over time, which I’ll hope to see when I open my second bottle. A nice dark purple color with medium legs. 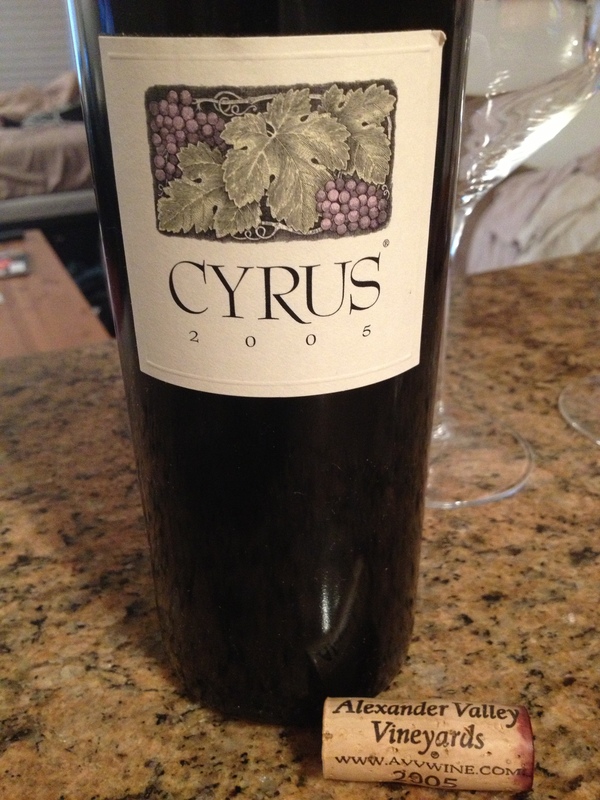 This is a big, dry, and full-bodied cabernet sauvignon from Sonoma with aromas of earth and spice on the nose. On the first night, this wine tasted leatherly with earthy herbs after opening. There was not a lot of fruit coming through on the first night. The second night provided only a slightly smoother finish, still with lingering tannins, and a taste of dark chocolate and blackberry. 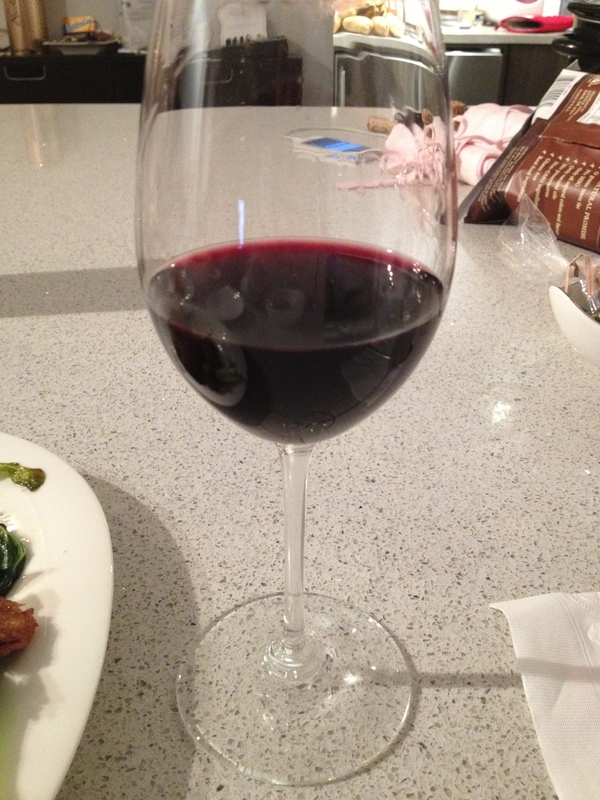 This wine is a full and dark ruby color. It needs at least an hour to open up. I recommend decanting and pairing with red meats.